This novel is based upon the true story of Mariana Alcoforado, sent to a convent during Portugal's revolt against Spain in the seventeenth century, where she conducts an all-consuming love affair with a French cavalry officer. After being abandoned, she writes him a series of passionate love letters--translated and included here--that become famous throughout Europe during her lifetime, and thereafter. Artists from the poet Rilke and the novelist Stendhal to the painters Matisse and Modigliani have made her one of the world's great romantic icons. Mariana Alcoforado is, along with Inês de Castro, one of the most famous portuguese romantic heroines. Katherine Vaz retells her story and the story of Portugal in the second half of the 17th century. When King and Church exercise absolute power what happens to the dreams of ordinary people? 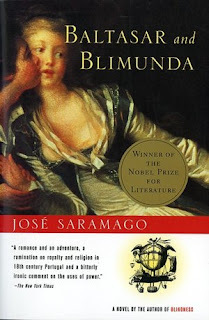 In early eighteenth century Lisbon, Baltasar, a soldier who has lost a hand in battle, falls in love with Blimunda, a young girl with visionary powers. From the day that he follows her home from the auto-da-fe where her mother is condemned and burned at the stake, the two are bound body and soul by a love of unassailable strength. A third party shares their supper that evening: Pardere Bartolemeu Lourenco, whose fantasy is to invent a flying machine. As the inquisition rages and royalty and religion clash, they pursue his impossible, not to mention heretical, dream of flight. A mandatory read in high schools when I was growing up The Maias ended up being one of my favourite reads. I love Eça de Queiroz writing, a brilliant man writing about the social and political events of his time. In this book we also get many descriptions of Lisbon and places that still exist today. Set in the sweltering summer of 1938 in Portugal, a country under the Fascist shadow of Spain, PEREIRA MAINTAINS tells a tale of reluctant heroism. Dr. Pereira, an editor at a second-rate Lisbon newspaper, wants nothing to do with European politics. He's happy to translate 19th-century French stories. His closest confidante is a photograph of his late wife. 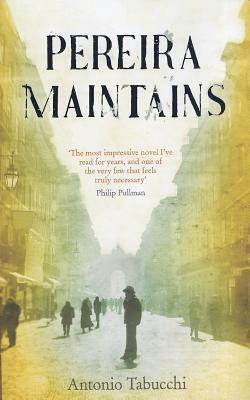 All this changes when he meets Francesco Monteiro Rossi, an oddly charismatic young man. Pereira gives Rossi work, and continues to pay him, even after discovering that he is using the money to recruit for the anti-Franco International Brigade. PEREIRA MAINTAINS chronicles Pereira's ascent to consciousness, culminating in a devastating and reckless act of rebellion. The political awakening of an old journalist in the Lisbon under Salazar's opressive rule. Written by an Italian writer who chose Portugal as his adoptive country. A Portuguese bank is founded on the back of Nazi wartime deals. 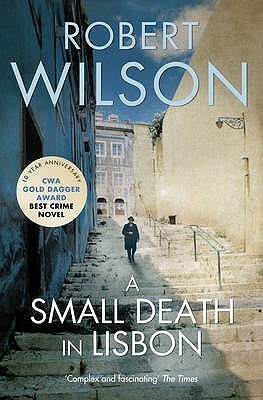 Over half a century later a young girl is murdered in Lisbon. 1941. Klaus Felsen, SS, arrives in Lisbon and the strangest party in history where Nazis and Allies, refugees and entrepreneurs dance to the strains of opportunism and despair. Felsen's war takes him to the bleak mountains of the north where a brutal battle is being fought for an element vital to Hitler's blitzkrieg. Late 1990s, Lisbon. Inspector Ze Coelho is investigating the murder of a young girl with a disturbing sexual past. As Ze digs deeper he overturns the dark soil of history and unearths old bones. The 1974 revolution has left injustices of the old fascist regime unresolved. But there's an older, greater injustice for which this small death in Lisbon is horrific compensation, and in his final push for the truth, Ze must face the most chilling opposition. The fact that Portugal was neutral during WWII meant that plenty of refugees ended up here, either to stay or to look for a way to continue their journey to America. Lisbon was also the meeting place of plenty or German and Allied spies. 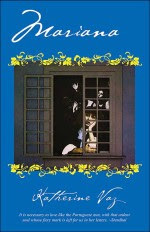 Robert Wilson's novel approaches that period and the post revolutionary decade in this intriguing murder mystery. 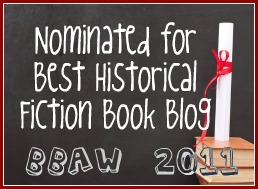 After writing this post I realised that none of these books have been reviewed on HT and that maybe I should get to that. I would love to hear from you if you're read any of these and feel free to share your favourite portuguese HF if you have any! Thank you for this great list. I am putting a bookmark on this page. I would love to learn about Portugal. Hopefully some of the great writers you mentioned will be translated in the future! Wow, more posts like this please! I love finding unusual (for the U.S.) or out-of-print books. I know NOTHING about Portugese history, but I think I will order a used copy of "Mariana" anyhow. I love this post!!! I am Portuguese(Canadian) and can never get enough. There are quite a few very interesting stories that do not seem to be well known and I would love to see more in print in English. I am going to list a few that may be of interest. 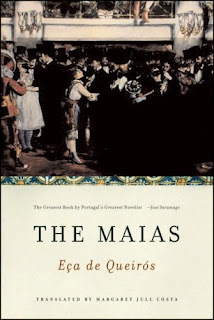 -Although this last book I listed here is set in Canada not Portugal this Portuguese immigrant was a pioneer in British Colubia and is an interesting piece of history as well as not very well known. Thanks for sharing. I wasn't aware of Ginger Merrick or Jean Barman. I would have loved to post at least one Inês de Castro story but I couldn't find any translated.